Ladies Mantle plant, Alchemilla vulgaris, is a very elegant plant and a necessary inclusion in any garden. An infusion of the dried leaves traditionally used in Europe as a tea after childbirth. The same tea is used to regulate menstruation and and smooth out menopause. 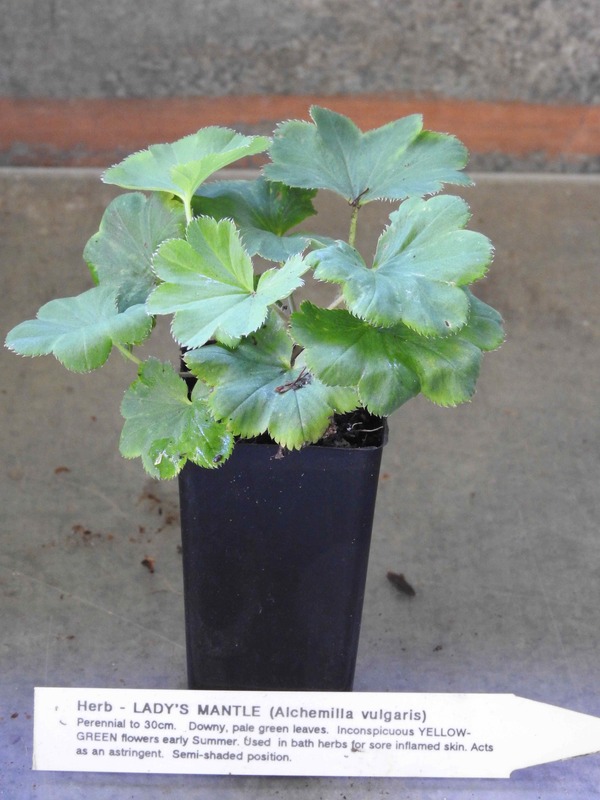 Ladies Mantle plant is indigenous to the Northern Hemisphere and prefers moist soils in a protected, shady position. Clusters of tiny yellow green flowers in summer. Frost resistant but drought tender. A perennial plant, growing to 0.5m x 0.5 m.
Be the first to review “Ladies Mantle, plant” Click here to cancel reply.